Jane in Bloom | Shelf Elf: read, write, rave. Confession. I’ve never been especially drawn to children’s books that are heavy issue books. You know, a book about a young person struggling against all odds to face a life-threatening illness or some kind of trauma. Those books are important for kids and teens, certainly, but sometimes I get the impression that authors look around for some sort of crisis situation for their character, thinking it will immediately make their book more powerful and affecting. Sort of the way some actors seem to choose particular types of dramatic roles with an eye to getting an Oscar. I’ve read my fair share of stories featuring suffering young people and sometimes I have difficulty distinguishing among them. Such stories need to offer me something new, something different in the approach, in order for me to take notice. Like Laurie Halse Anderson’s Wintergirls, for instance. Now that sounds like a book that’s offering something new. I’d never dismiss an issue book without giving it a fair shot, of course. I’m just a wee bit skeptical from the get go, that’s all. So it was with a little hesitation that I started reading Deborah Lytton’s debut Middle Grade novel, Jane in Bloom, because it centres around a family that is experiencing the devastating effects of anorexia as one of the daughters fights the disease. I’ve read many books about eating disorders, so I wondered what I’d find here that I hadn’t seen before. Lizzie is Jane’s older sister. She is the beautiful sister, the talented sister, the one with a golden future. Jane is a good kid, no trouble at all, and has always been comfortable in her sister’s shadow. But behind Lizzie’s perfect exterior is a secret that her family has been trying to keep for some time. Soon after Jane’s twelfth birthday, Lizzie’s eating disorder takes her life. This loss forces Jane to focus on herself and to think about who she wants to become. She discovers talents she never knew she possessed. As it turns out, Jane in Bloom is not really just another story of a girl battling an eating disorder. It’s actually Jane’s story. It’s about a girl experiencing complicated emotions after a great loss, discovering her gifts and looking at herself and her family in a different way. I really enjoyed how Jane is a completely ordinary kid. At the beginning, she hasn’t really spent much time at all thinking about who she is, or what she likes, or what she’s good at. With a sister as dazzling as Lizzie, Jane is invisible to others and she’s not really visible to herself either. I think a lot of girls will connect to this experience. Lytton captures Jane’s transformation into a more self-assured, interesting and expressive individual in a way that doesn’t seem forced in the least. In these pages, Jane looks at herself for the first time and finds there’s a lot more there than she ever realized. 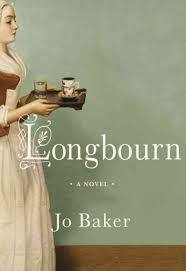 Lytton draws Jane and Lizzie’s relationship carefully in just a few scenes at the beginning of the novel. As the story progresses we appreciate the layers of that sisterly bond – jealousy, anger, profound love and understanding. This is novel all about relationships, between Jane and Lizzie, Jane and her parents, and Jane and Ethel (the woman who comes to care for her when her parents are away). All of the relationships are drawn with care and an honesty that should really appeal to readers. Deborah Lytton has written a book that offers younger readers a way into two very difficult subjects: eating disorders, and the loss of a sibling. Her novel is not intimidating. It is an honest and gentle look at one girl’s efforts to reconcile her mixed-up feelings after her sister’s death. But that’s not all that this book is about. It’s about self-discovery and change. There’s also a lot of hope here. Sadness for sure, but hope too. I think it would make a great choice for a girls’ book club, because it’s not just an issue book, it’s a story with a completely realistic, relatable girl at its centre. It’s as much about Jane’s growth and change as it is a story of loss. Jane in Bloom should inspire discussion, and with any luck, readers will be inspired to do a little self-exploration too. 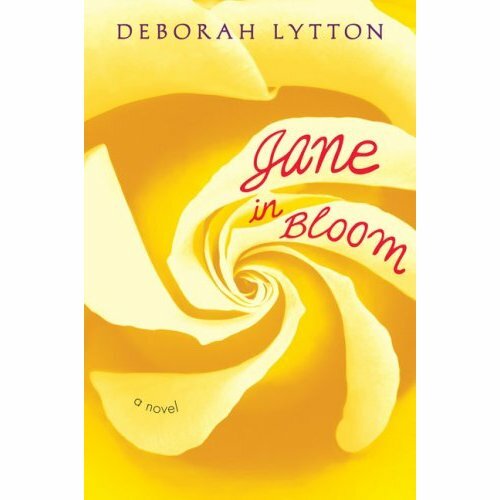 Deborah Lytton’s Jane in Bloom is published by Dutton, March 2009. This entry was posted in Class of 2k9, Middle Grade, Openmind on March 2, 2009 by shelfelf. I am looking forward to reading it! I enjoyed reading this beautifully written book. It should indeed inspire discussion. So worth reading – I love all of the different themes and angles Debby is exploring. I loved this book and I’m so excited to pass it along to my daughter–her old babysitter (and our neighbor) is battling anorexia and I know this book will help her understand what the family is going through. This book would also be fantastic for a mother-daughter book club! Well written, emotional and sensitive. I loved it!! A must read. Great review. i can’t waut to read it and to buy it for all of my nieces. I absolutely LOVED this book!!!!! It would be great for teenage girls but not limited to them…lots to discuss beyond anorexia…its a book about how we cope with big and little issues and how other people’s actions play into how we feel…many seperate journeys…this author has a bright future to be sure!